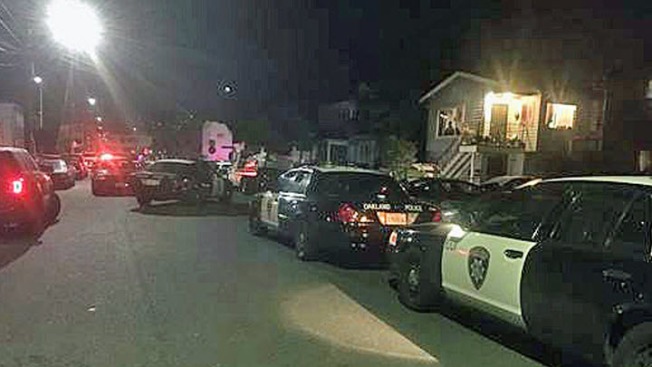 Police were searching for a suspect on foot in Oakland late Tuesday after a vehicle pursuit, according to Oakland police. Officers were scouring the area of 46th Avenue and Bancroft Avenue for a suspect that fled into nearby yards, police said. Police asked area residents stay inside their homes and report any suspicious persons.